OK Group’s founder, Star Xu, has announced a partnership with blockchain-focused trust company Prime Trust, potentially allowing the firm to launch its own compliant stable coin. The news came in a tweet from Star Xu on March 28, retweeting an earlier March 27 tweet from Prime Trust announcing the partnership. According to Cointelegraph, Prime Trust is a blockchain-focused trust company that is a qualified crypto and fiat currency custodian and chartered, regulated financial institution, providing compliance services that include AML/KYC checks, funds processing, as well as asset protection for initial coin offerings. From the name it appears the compliant stable coin will be a USD-pegged asset. 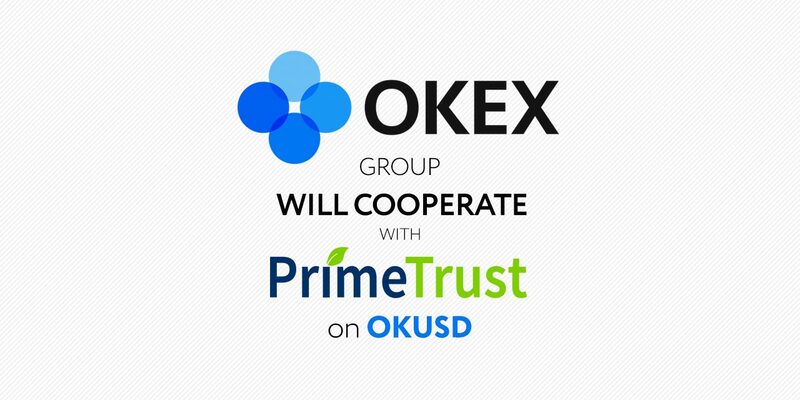 As per Prime Trust’s tweet, it will run on the OKChain blockchain — OKEx’s blockchain that is currently in its final development stage, as the exchange had announced earlier this week.